Six Glen Oaks Community College basketball players who helped garner a conference title and district runner-up trophy for the Vikings signed Letters of Intent on April 27 to four-year colleges. 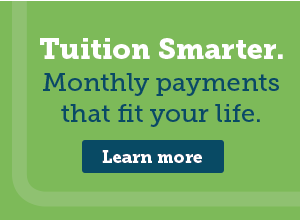 The student-athlete scholarships are worth up to $18,000 a year, said Glen Oaks Athletic Director and Head Basketball Coach Steve Proefrock. 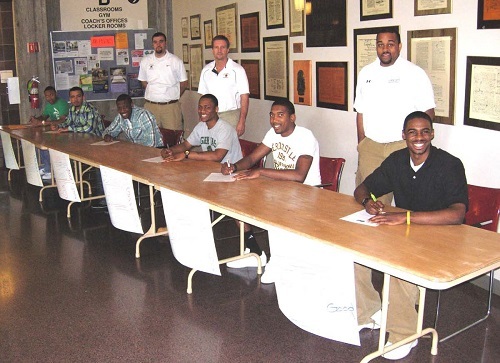 Pictured (left to right) are JaVaughn Manuel signing with Norfolk State University, Virginia; Jason Evans of Three Rivers signing with the University of Michigan-Dearborn; Jerontae Hunter, Aaron Fluellen and Burnell Granderson signing with Concord University, West Virginia; and Devan Crain who will play for Goshen College, Goshen, Indiana. Head Coach Steve Proefrock, Assistant Coach Kevin White, and Student Assistant Coach Justin Davenport are standing behind the departing Viking team members. The Vikings posted one of their best hoop seasons in 32 years with a 26-5 record. JaVaughn Manuel was named All-Region, All-MCCAA, and First Team All-Conference player. Aaron Fluellen and Devan Crain were named to Second Team All-Conference. Jason Evans was the recipient of the Jim Bishop Memorial Scholarship for the 2009-2010 academic year. Proefrock said Evans, of Three Rivers, grew phenomenally at Glen Oaks as a student-athlete by progressing in the classroom and on the basketball court. Coach Proefrock was named the 2010 Michigan Community College Athletic Association’s Western Division Coach of the Year.